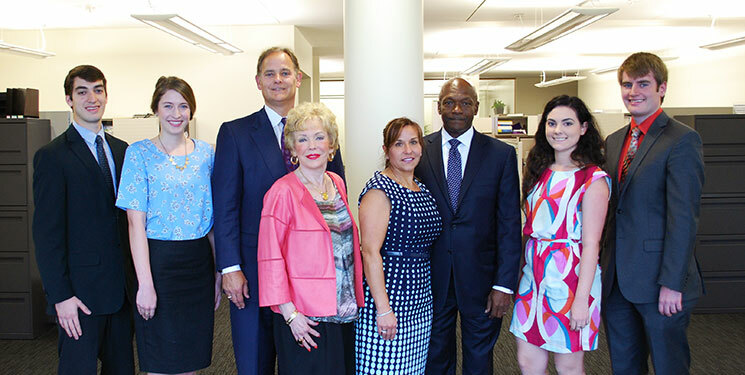 From left, Gerry Lane Scholars Michael Cuzanza and Brook Martin; Eric Lane and his mother, Faye Lane; Kim Patton and husband Cedric Patton, business partner of Eric; and Gerry Lane Scholars Rhiannon Ballard and Ryan Hodgins meet at a scholarship luncheon. Not pictured is Meaghan Randle-Hanks. Photo by Josh Duplechain. There are several milestone birthdays for young adults. At 13, you’re finally a teenager. At 16, you get your heart’s desire—a driver’s license. At 18, you leave home. But it’s not until you turn 22 that you’re truly independent: you’ve just graduated from college. Or, in Gerry Lane’s case, you’ve left your father’s farm in Oklahoma to make it on your own in San Diego. Sixty-two years after Lane made that fateful move, the late Baton Rouge legend’s car dealership is not only strong—it is thriving. Now led by Lane’s son, Eric, Gerry Lane Enterprises gives back to the community that has supported it for three decades. The first scholarship recipients have their own dreams of helping the community. Among them are improving nursing homes; coaching children through extracurricular sports; and, for one student, supporting the foster care system that supported him for four years.